Ten years ago, in May 2009, we started our Balikbayan business. In our humble beginnings we were offering our services primarily in the Metropolitan Area Rhine-Ruhr. Today we are proud to rank among the leading Balikbayan companies in Germany – and beyond. WE INVITE YOU to celebrate with us. Exciting PROMOTIONS and the one or other SURPRISE OFFER will await you in the course of this year. *) particular packages have not yet been delivered. Possible reasons are unpaid shipping costs, unsuitable weather conditions or unclear address details. Please note: All dates and times are given as reasonable estimates to the best of our knowledge only, based on information of our ocean carrier, and are subject to change without prior notice. Unfortunately, we don’t have any influence on the transit times, as long as our container is on sail. Weather conditions, delays during surface transportation within the Philippines and other factors beyond our control may affect delivery times. For that reason, we are not able to make any binding statements about the delivery date of your shipment. 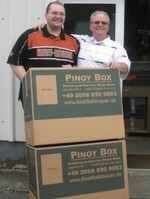 Do you know that we ship every two to three weeks a container of Balikbayan boxes to the Philippines? Surely you have noticed that the arrival dates of our containers change frequently. Maersk Line explains the changes of the transport plan as a result of delays in the transhipment ports, i.a. because of the congestion of the port of Manila. We have no influence on transit times by sea. Other ports such as Subic or Cebu City are not an option for us as transit times to these ports are significantly longer from the outset. Shipping by ISO container is the thousandfold proven shipping method for Balikbayan consignments. 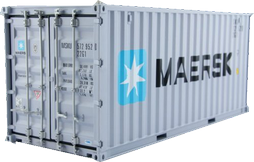 Due to straightforward handling we are able to ship at least two containers every month. Choose air freight, if the transit time of ocean freight takes too long for your shipment. In light of the complex IATA rules we are proud to be able to offer this shipping method for your private Balikbayan shipments. You shop - we ship: Make your online shopping conveniently from home and enter our address as the delivery address. We take care of the shipping. This service is mainly used by Philippine-based customers. For Returning Residents ("Balikbayan") some particularly favorable regulations apply. To ensure that your relocation to the Philippines runs smoothly, you should observe however some important rules. "Is your wife a Filipina?" In the beginning we were often asked this question. Today most of our customers know, that we are a German family owned company with no personal connection to the Philippines. In 2007 we heard about the cultural concept "Balikbayan Box" and about its particular importance to Filipinos. In 2009 we started our company in humble premises in Düsseldorf. Since 2010 we are based in Wülfrath. The new premises offer plenty of opportunity to grow, in order for us to continue adapting our services to our customers needs. We have long since outgrown those humble beginnings. Today we are one of the leading Balikbayan consolidators that operate in Germany and beyond. On average we load a container with Balikbayan shipments every 2 weeks and ship Air cargo on a weekly basis.